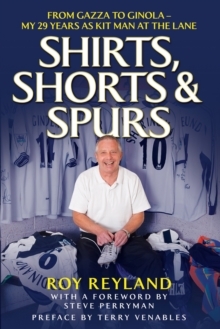 Shirts, Shorts & Spurs is the revelatory account of the amazing history of Tottenham Hotspur, as seen through the eyes of one of its most unlikely heroes: Roy Reyland, the loyal kit manager who faithfully served the club for almost 30 years. From inside the dressing room and on the bench, Roy has witnessed the agony and the ecstasy of three decades of seasons. 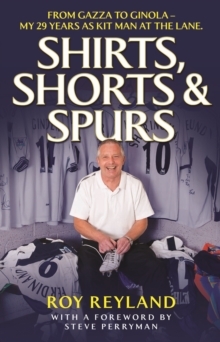 Working under no less than 17 managers, he has visited Wembley more times than many of the brightest stars of the Premiership. 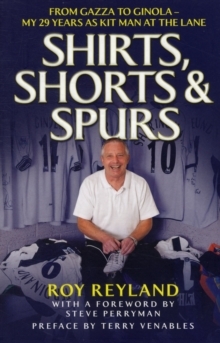 As Tottenham's official agony aunt, he has got to know some of White Hart Lane's greatest players: from Ardiles and Gazza to Klinsmann and Ginola.